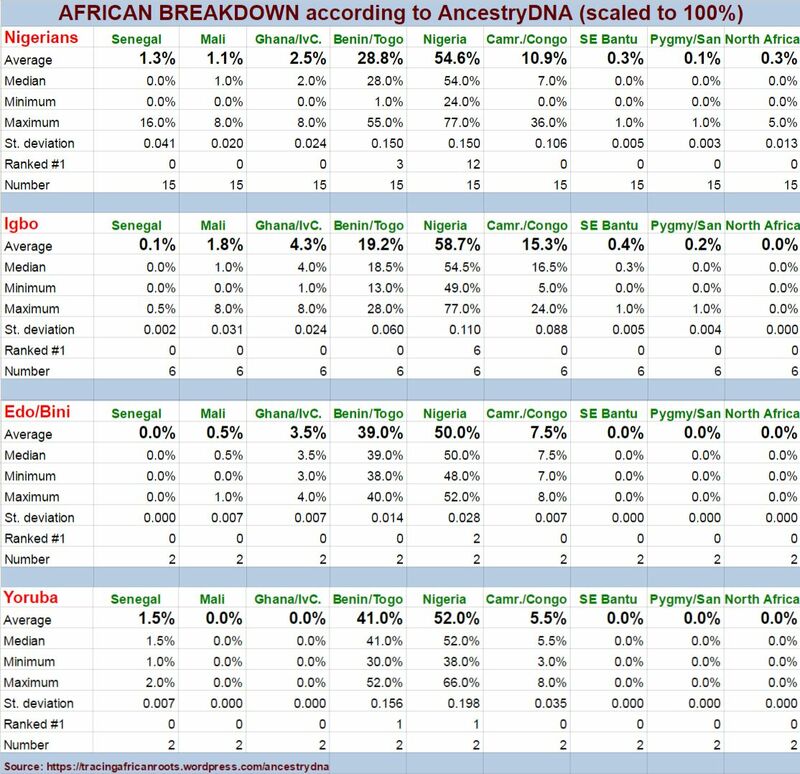 the Cameroon/Congo category could be a tell-tale sign i suppose to distinguish the more archetypical Yoruba from the averaged out Igbo, however it's important to stress that even within ethnic groups you will find MUCH individual variation. Last edited by Don Felipe; 11-20-2016 at 12:25 PM. 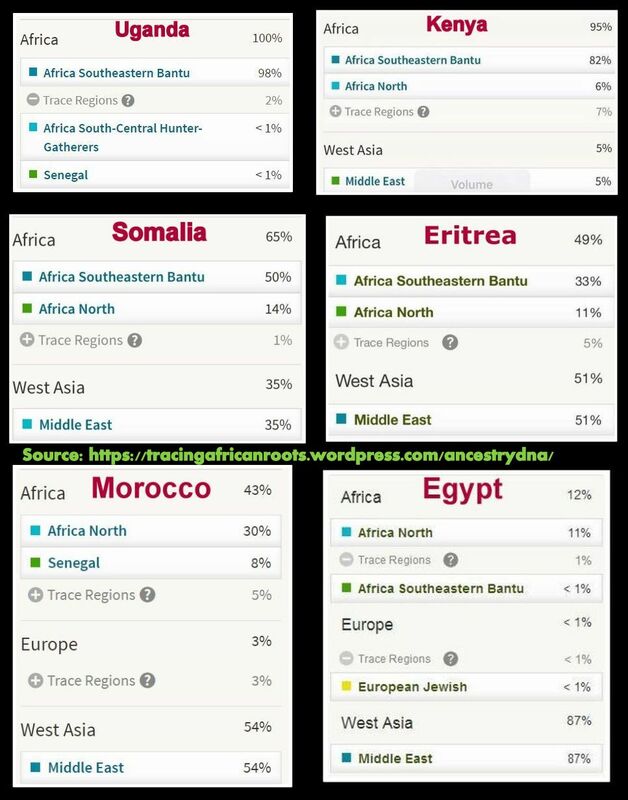 Two Horner results, basically showing a combination of SE Bantu, North African and Middle East. 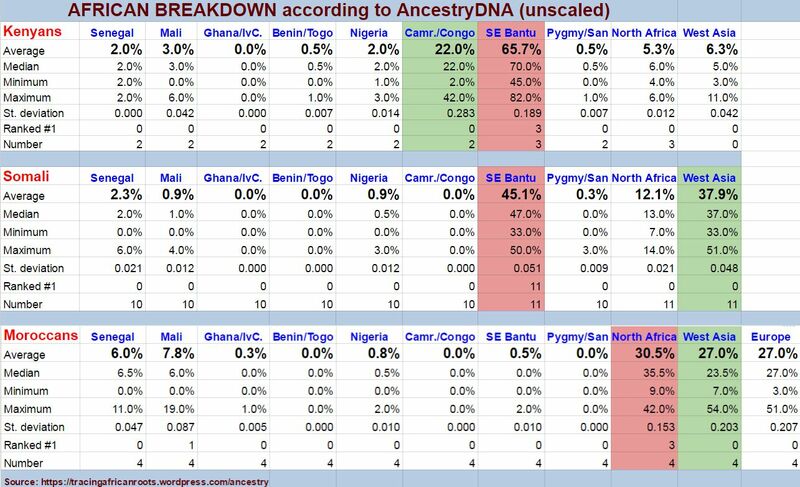 No doubt SE Bantu became the default SSA category for Horners because in absence of a category based on Nilotic (Maasai) samples it will be the least distant SSA cluster for them on Ancestry. It won't be actual Bantu ancestry of course . However i'm not too sure anymore about the predictiveness of the socalled "Africa North" region on AncestryDNA. It seems to be heavily conflated with the Iberian region. When reported it could still be a valid finding but in many cases it might also just signal VERY ancient genetic similarity with North Africa. Last edited by Don Felipe; 11-20-2016 at 12:26 PM. Do you have any results of Senegambians, Malians, Guinea Bissau or Conakry such as those of Wolof, Serer, Jola with fully West African composition without any North African? 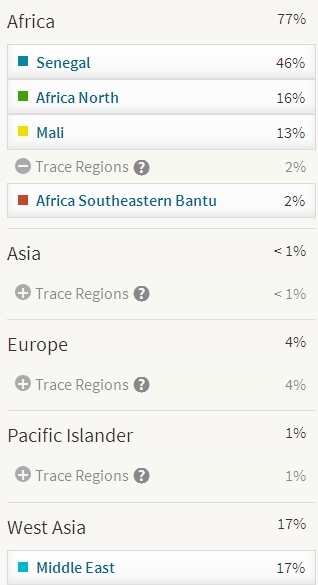 i'm sharing with several Senegambian people on 23andme but most of them do in fact show some minor North AFrican or East African component, although often quite minimal. However 1 Mandinga from Guinea Bissau is practically 100% SSA. Interesting. Do you know the ethnicity or tribal group of these Senegambians? How minimal are the minor components? Is their East African component something Nlotic/Nilo-Saharan or Horner type? Can also you post the results of these Senegambians including the 1 Mandinka from Guinea Bissau who is 100% SSA please? Btw are there also gedmatch results of them? Last edited by Don Felipe; 11-22-2016 at 10:59 PM. 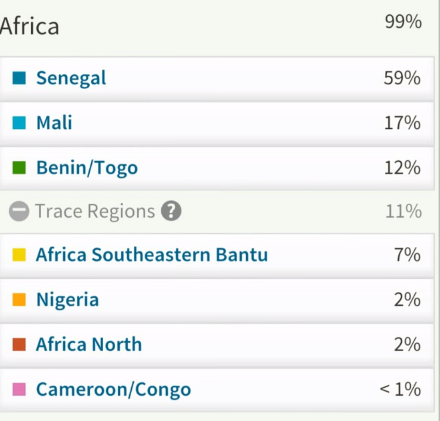 I do not have their Gedmatch, however here's some Senegambian results. 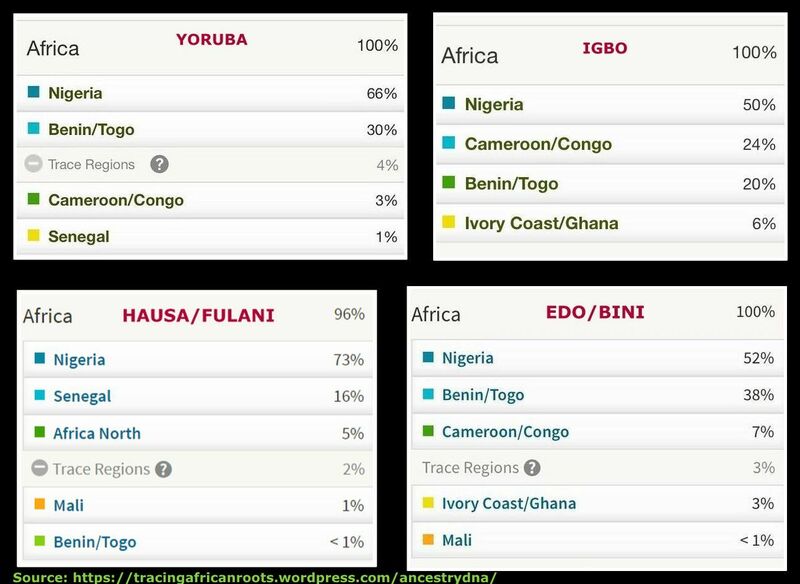 Second one is mainly Wolof from Gambia but most likely also partially Krio or Aku which would explain the minor Benin/Togo. The missing 1% for the Guinean is mostly S.European while it is Middle East for the Gambian. Last edited by Don Felipe; 12-10-2016 at 10:37 PM.